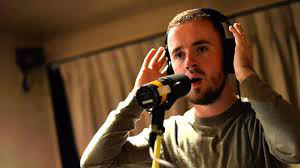 'Back at the beginning of 2014 we recorded 2 gorgeous tracks with Maverick Sabre at Air Edel.. when albums take so long to be released I almost forget we ever made the recordings in the first place.. then today I thought, I’ll just have a listen to the new Maverick Sabre album ‘Innerstanding’ and there we were on two of THE most beautiful and heartfelt songs.. ‘Don’t Forget Me’ and ‘Why’. Strings Arranged by Rosie Danvers, Performed by Wired Strings, Produced by Utters, Engineered by Nick Taylor and recorded at Air Edel, London, January 2014. On ‘Don’t Forget Me’ the strings enter in the final third of the song.